Sign up for the 2019 Dasher Dash today! 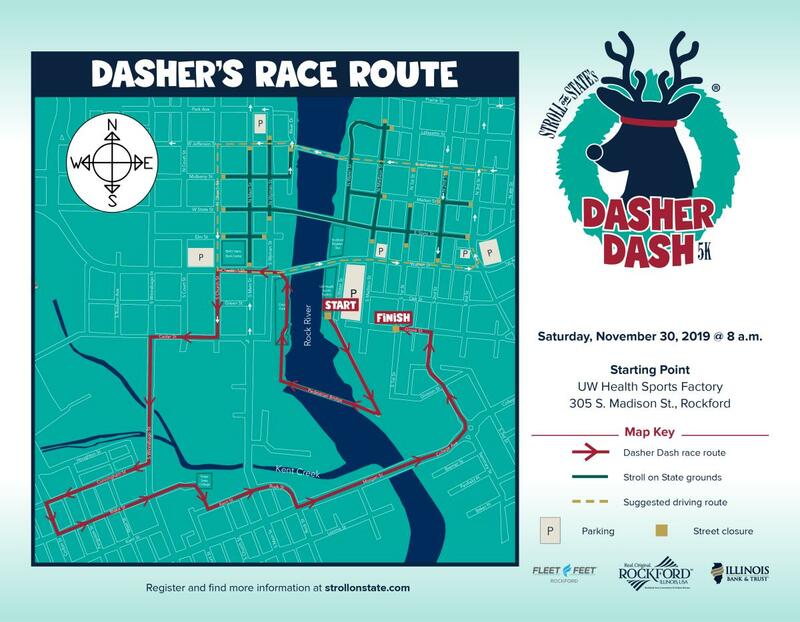 The Dasher Dash 5k is a holiday themed race through the historic parts of downtown Rockford, including 4 bridge crossings, Haight and Ethnic Villages, and the lovely grounds of Tinker Swiss Cottage. Once runners cross the finish line on Grove Street, they will receive specially designed finishers medal, hot chocolate, and yummy Christmas cookies. This certified 5k course has been created for everyone with awards for overall and age group winners, finisher medals, and special pricing for kids.